Salesians English World: Salesians Ripoll & FishΧps!!! 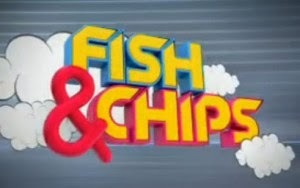 I'm glad to announce that the next 25th of November we are going to TV to participate in the Fish&Chips TV program. One boy and one girl of 6th Grade will be the contestants. All the boys and girls of 3rd, 4th, 5th and 6th Grade we will be the audience. We have to learn some dances and here there is the video. You can practice at home! !